[URGENT] Robert Mueller is SO close to uncovering Trump&apos;s countless crimes and Russian ties! This is GREAT news, but Trump is threatening to FIRE MUELLER. Even worse? Mitch McConnell is blocking our best efforts to protect Robert Mueller! He&apos;s REFUSING to bring the Robert Mueller Protection Bill to the floor of the Senate for a vote -- what a SHAM. With every day that passes without this bill, Mueller is in danger of being FIRED by Trump. We can&apos;t let them get away with this. from Top Supporters across the country. 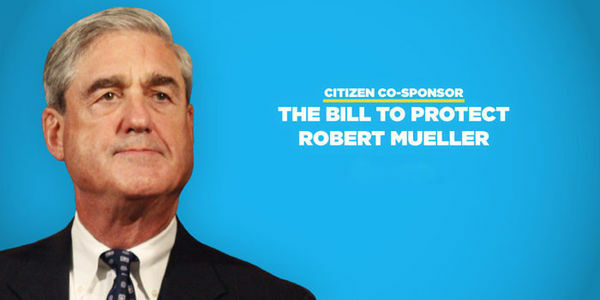 Sign now to demand Congress pass the Robert Mueller Protection Bill. There&apos;s no time to waste -- sign NOW.